Kids are great. Even when they make a mess of the living room or have fun by coloring the dog. They might be a handful, but they always deserve to look cute! 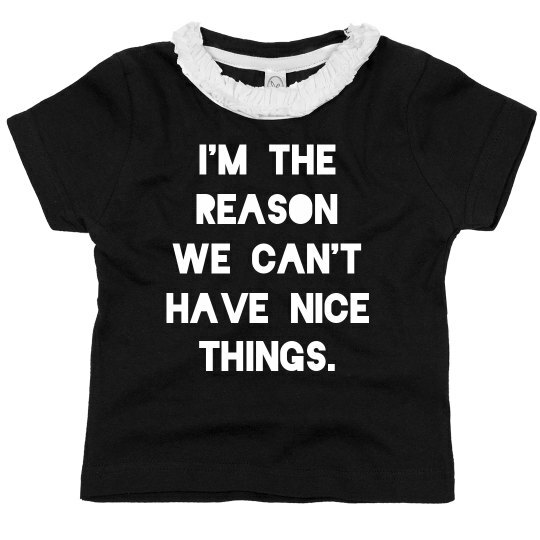 Dress them in an adorable ruffle top that includes a funny quote what will remind everyone to keep an eye on them. Custom Text: I'M THE | REASON | WE CAN'T | HAVE NICE | THINGS.